On this page you will find books, catalogues and works for sale when they are available. Else Marie Pedersen in cooperation with Lois Walpole. Published by Tempa 49 pages colour. Looping and Coiling are both ancient techniques used to create baskets and textiles all over the world. 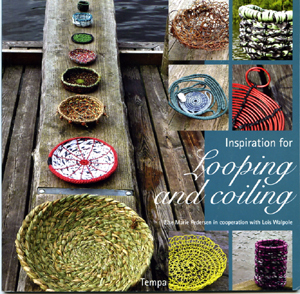 In "Inspiration for looping and coiling" they have been explored not only for their functional qualities but also for the potential to provide the maker with a means of creative self expression. 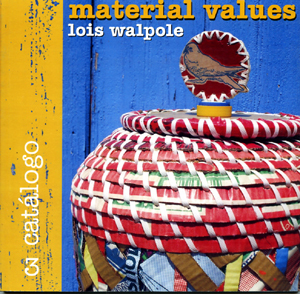 The baskets in this book are the result of a workshop at the Danish Willow Associations' meeting in the summer of 2009 where basket artist Lois Walpole provided the inspiration. The techniques are thoroughly explained with drawings, images and text. Price 15€ including postage to EU destinations, 16€ including postage to all other destinations. Please choose postal zone and quantity. 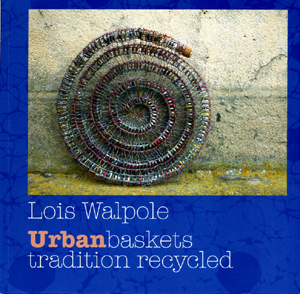 Fully illustrated catalogue of the 2010 retrospective touring show, Urban Baskets Tradition Recycled. Published by Walford Mill Crafts. 60 pages full colour with essays by Martina Margetts Tony Hayward and Carlos Fontales and contributions from Michael Norton and Alice Meynell. Price12€ including postage to EU destinations, 13€ including postage to all other destinations. Fully illustrated catalogue of the 2007 touring exhibition of the same name. In English and Spanish with an introduction by Rafael Gomez Leon. 60 pages.